These moons have some of the wildest names – but it’s all for a very good reason, and has been happening for centuries! Even if you’re just an amateur stargazer, these giant moons are easy to spot and a bit of fun for the entire family. This weekend, a giant Pink Moon will set in the sky and is sure to have folks all over the world talking! While it might not actually be “pink,” the reason for the naming stems all the way back to the early days of the Old Farmer’s Almanac. The 2019 Easter Pink Moon will be visible starting just before dawn on Friday, April 19th, but don’t get your telescopes and start searching for a giant pink orb in the sky – this not-so-pink moon is actually named for something important. Within the last few moon cycles, we saw both the Super Wolf Blood Moon, the Super Worm Moon, and others. But, now as Easter weekend approaches, we are blessed with a beautiful sight that celebrates the blooming of a beautiful spring flower – the Wild Ground Phlox. Full Pink Moon tonight . . . The birth of Spring. Although Spring “officially” started March 20th; according to this gorgeous Full Moon, we’re right on schedule with Spring The name Pink Moon comes from one of the first spring flowers; Wild Ground Phlox, as they cover the ground like a pink blanket. These brightly-colored flowers are native to North America, and they often bloom around the time of April's Full Moon. These names all refer to the birth of spring with grass sprouting, birds laying eggs, fish being more plentiful, hares breeding, and people planting seeds Happy Spring/Full Pink Moon! A wonderful excuse to get outside during some surely gorgeous spring weather, the Full Pink Moon is named after the Wild Ground Phlox whose bloom was used to determine the official start of spring – dating all the way back to ancient times. According to several sources, the moon is also commonly called the Paschal Full Moon, Egg Moon, and Full Sprouting Grass Moon. 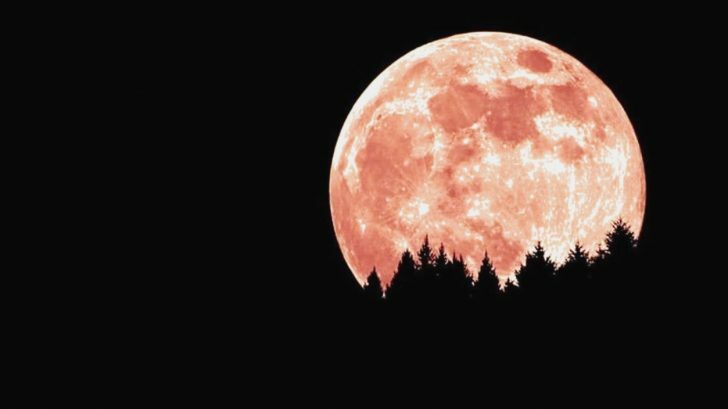 Each year, the Full Pink Moon occurs as the first full moon in April and will light up the daytime sky in many parts of the world on this forthcoming Good Friday. The best way to catch a glimpse of 2019’s Full Pink Moon is to head outside of the city limits where there is little light pollution, and no weather events happening as these can hamper your ability to see the moon. This year, the giant moon is expected to illuminate the sky like a huge lantern and cast its light all over the Earth. Check out these tips for skywatching in April below and let us know if you’ll be headed out to see the Full Pink Moon!